Quick overview Born into an oppressive, colonialist society, white Creole heiress Antoinette Cosway meets a young Englishman who is drawn to her innocent beauty and sensuality. After their marriage, however, disturbing rumours begin to circulate which poison her husband against her. Inspired by Charlotte Bronte's "Jane Eyre", "Wide Sargasso Sea" is set in 1830's Jamaica. Born into an oppressive, colonialist society, white Creole heiress Antoinette Cosway meets a young Englishman who is drawn to her innocent beauty and sensuality. After their marriage, however, disturbing rumours begin to circulate which poison her husband against her. Caught between his demands and her own precarious sense of belonging, Antoinette is inexorably driven towards madness. 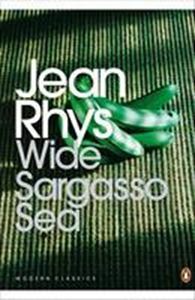 This classic study of betrayal is Jean Rhys' brief, beautiful masterpiece.